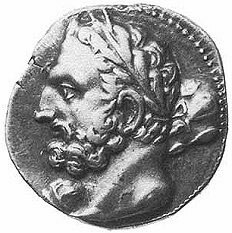 The Carthaginians had a lot of trouble paying the money the Romans demanded from them after the First Punic War. So their general Hamilcar decided to take over some of southern Spain. There were rich silver mines in southern Spain that would help Carthage pay the Romans. But at the same time, the Romans were taking over some of northern Spain, where there were gold mines. The Romans and the Carthaginians seem to have made a treaty to stay out of each other’s territory in Spain. But in 219 BC a city in the Carthaginian part of Spain, Saguntum, asked the Romans for help against the Carthaginians. The Romans sent their army across the Ebro river to help, breaking the treaty. So Hannibal, the leader of the Carthaginians, decided to attack Rome. Hannibal took a huge army and a lot of elephants and horses and crossed over the Alps to Italy. He thought that when he got to Italy all the cities would be glad to help him and get free of Rome. But they were not. Some of the cities thought Rome treated them pretty well. Others were afraid of the Romans. Nobody would help Hannibal. When the Romans heard that Hannibal was coming, they kept one half of their big army in Italy to fight Hannibal, and they sent the other half of their army to Spain, to take over the silver mines there so the Carthaginians would not be able to pay their soldiers. The general who went to Spain was named Scipio (SKIP-ee-oh). The war went on for many years. Hannibal could not conquer Rome, and Rome could not get Hannibal out of Italy. Many thousands of men were killed on both sides. All the elephants died. The Greeks sent some ships to help the Carthaginians. But finally Scipio succeeded in taking over Spain. 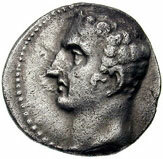 Then Scipio took his army to Africa and attacked Carthage itself. The Carthaginian Senate got frightened and told Hannibal to come home and help them. 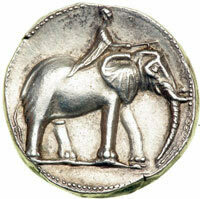 There was a big battle at Zama, near Carthage, in 202 BC, and the Carthaginians lost. Again, the Romans did not take over Carthage itself. But they did take over Spain, and they left Roman soldiers in what is now Morocco and Algeria in North Africa. And they made the Carthaginians agree not to fight any more wars unless the Romans said they could. The Ancient Roman World, by Ronald Mellor (2004). Straight political history, For teens. Hannibal (First Book) by Robert Green (1997). Easy reading. The Young Carthaginian by G. A. Henty (1860s, reprinted 2001) This is a good adventure story that can introduce kids to the wars between Rome and Carthage, but because it was written more than 100 years ago, it has some racist and unfair assumptions about the Romans being better people than the Carthaginians – watch out! Hannibal’s War: A Military History of the Second Punic War, by J.F. Lazenby (1978). An academic source. Cite this page: Carr, K.E. Second Punic War – Carthage and Rome. Quatr.us Study Guides, September 3, 2017. Web. April 22, 2019.